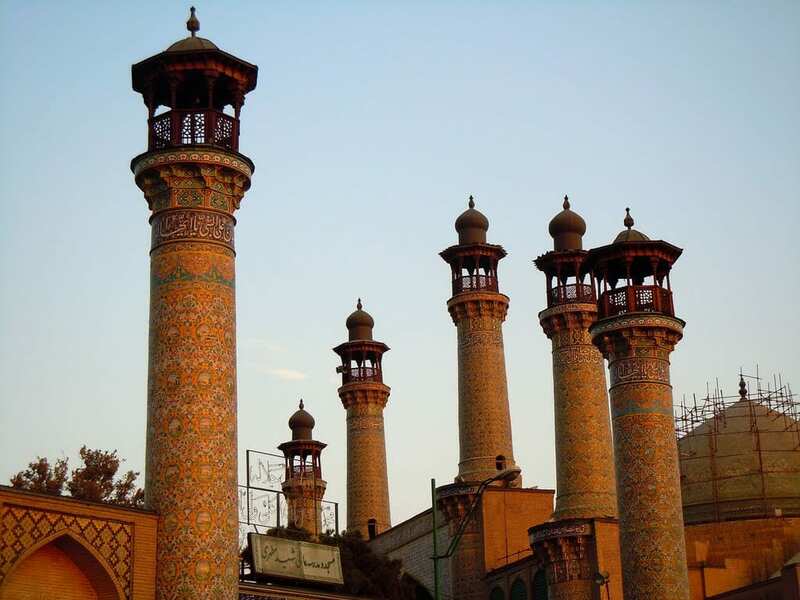 The Sepahsalar Mosque or Motahari Mosque is on the south side of Maydan-e Baharestan, northeast of Maydan-e Imam Khomeini; admittance to the public is generally not allowed, If you are with a guide an exception can be made) This, along with its adjacent madrasa, is one Of the most photogenic historic mosques in Tehran. 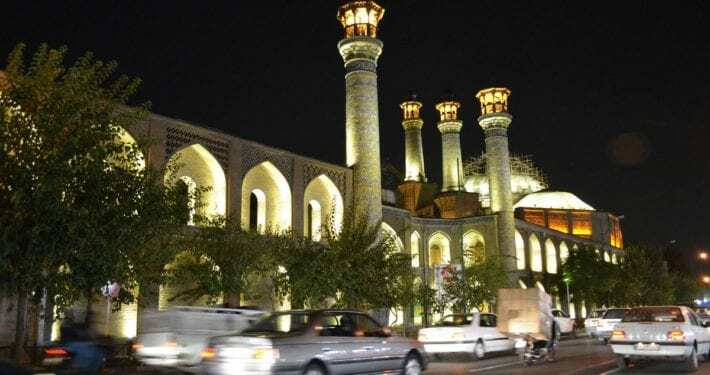 The official policy promoted by Reza Shah Pahlavi in the 1930s led to most of Tehran mosques closing down along with the madrasas; it has been estimated that by 1942 only 24 mosques were open and operating in the capital. That is certainly not the case today. 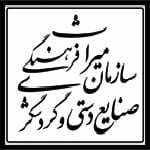 As the Madraseh va Masjed-e Motahhari, it is now a fully functioning theological college again. The main entrance portal and the facade are quite distinctive Qajar style. 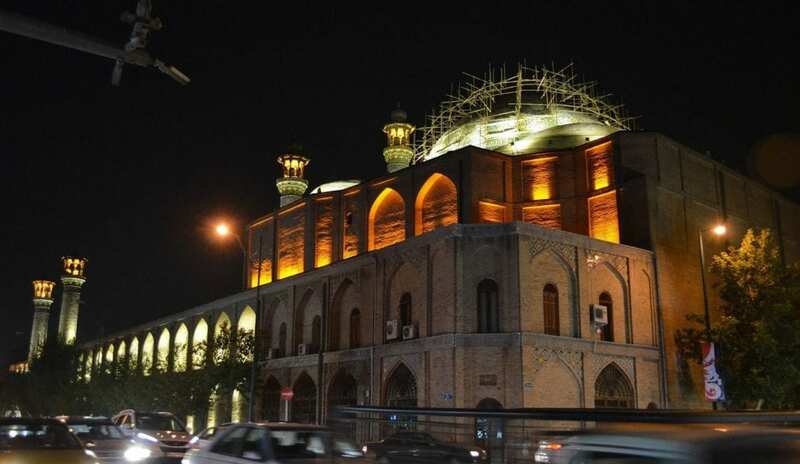 Built by two high-ranking officials in the court of Naser al Din Shah in 1879—81, when its location was just inside the city walls, for many years it was one of the largest four-ivan mosques in Tehran. 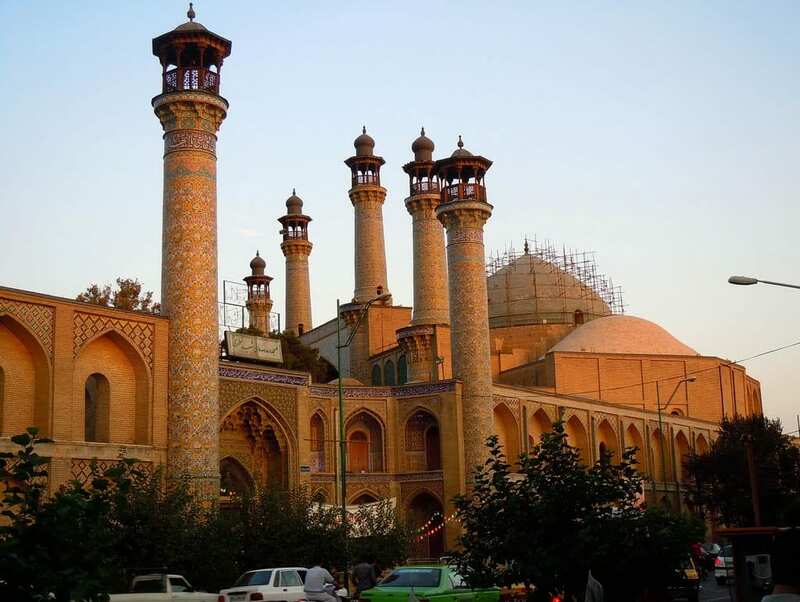 Two massive minarets flank the recessed entrance, which leads into a courtyard surrounded by twin-storeyed arcades of college rooms; in all there are some 60 chambers. Tiles with full-blown floral motifs in typically flamboyant Qajar style decorate the courtyard, while a tile inscription band gives details of the original endowment. The prayer hall dome, 37m in height, is supported by 44 columns. Right behind the mosque is the new parliament (majles) building. 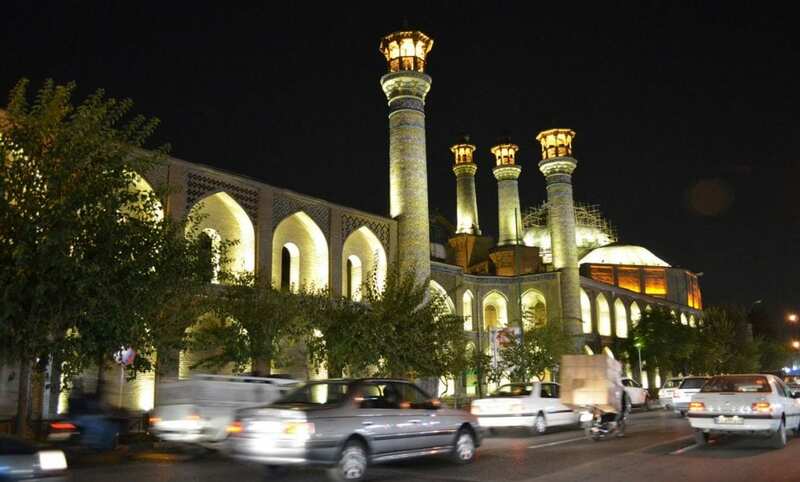 The taste of Iran — A great variety of differences which cannot be found on the menu of others!